Vacation is a hard earned dream. It always takes a bit more effort if you are travelling with family especially on a front like budget. Your budget decides everything from your destination to how much you can do during your trip. But picking a not so fun destination due to resources restriction is not just. It does not mean that you cannot have a decent vacation. You just have to take extra care in your expenditure and prioritise some stuff. Book your flight as early as possible. It gives you more choices for the seat you want to take etc. Book your destination transport via bus walk if it’s a short distance. For airport transportation get a UK airport car parking deal at compared prices. Never go for the deals which come in an all in one package of travel and lodging etc. It’s mainly because they are either ripping you off or offering second rate services. Manage your accommodation separately and try finding a place near markets or busy area. Never deviate from your dietary habits. Not saying that you should not check out the local food at all. 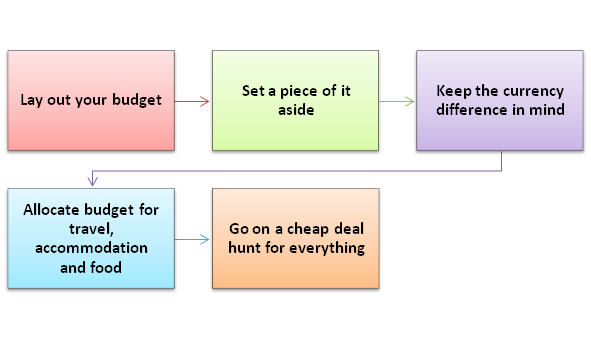 You should simply ease into it and use that time to figure out what you want to try and what your budget has to say about it. Buy and pack 1 nice dress from the saved money or dine at a good local place at the end of your vacation. Previous PostSpeculation about Airport Expansion Decision Delays and More DelaysNext PostHow to Manage Manchester Parking?